As some of you may know, at 13 years old Sarah was diagnosed with high blood pressure, which was managed by medication successfully while she was a teenager. Then, in 2008, due to complications from the medication she was taking, her kidneys began to fail. By the summer of 2010, she was diagnosed with End Stage Renal Failure and placed on dialysis. Sarah was placed on lists in Texas and Oklahoma, and in February, 2016, she got the call for a kidney transplant. 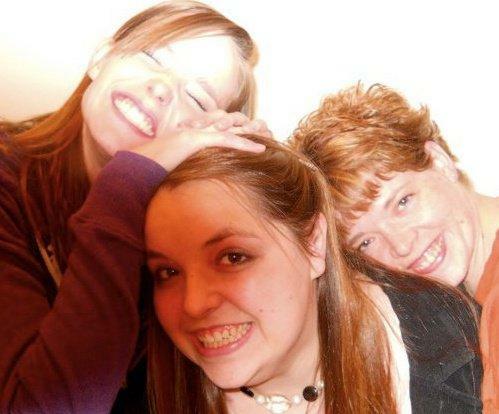 Just before her 30th birthday, her life began again. Dialysis patients are automatically qualified for Social Security Disability (or SSI) and Medicare, but the Disability stops two years after a transplant, or when the person’s income is adequate (which Sarah’s was within a year of her transplant), and Medicare ends after 3 years. That means that as of the end of February, 2019, the last of Sarah’s benefits will cease. Even with insurance, Sarah will still have many uninsured medically-related expenses for the rest of her life! Co-pays and deductibles, doctor visits, and the costly immuno-suppressant medications that she will need to take for the rest of her life. To help with these uninsured expenses, a fundraising campaign in Sarah’s honor has been established with Help Hope Live. Help Hope Live is a non-profit that has been assisting the transplant community for over 30 years. All donations are tax-deductible to the full extent allowed by law and are administered by Help Hope Live for transplant-related expenses only. People on dialysis are eligible for Social Security Disability, but that ends two years after any transplant. Sarah was able to return to work, that source of income ended earlier, since it is means tested. Medicare covers until the three year mark, but the premium is no longer covered, so when Sarah’s income dropped dramatically, HelpHOPElive covered the premium for her Medicare out of the funds that had been raised. As she celebrates the three year mark, she will lose Medicare completely. At this time, Sarah is working at a job that offers no benefits, so after Febuary 28, 2019, she will have no medical coverage at all. (She is looking for a job with benefits) she has tried to apply for the Health Care Marketplace, but they will not talk to her as long as she has Medicare, so there is likely to be a gap in services. Regular checkups and continuing medication are essential to keep that precious kidney viable. Unfortunately, some recipients lose the transplant because of lack of funds to maintain proper treatment, and have to return to the costly (monetary and lifestyle) dialysis, so we pray that will never happen to Sarah! For credit card donations, please call 800-642-8399 or select the GIVE button. We are blown away and truly humbled by the gifts and the outpouring of love we have been witnessing! Thank you for caring about Sarah. We are reminded of a song based on a verse from Numbers that Sarah learned during her days at Oklahoma Christian: The Lord bless you and keep you; the Lord lift his countenance upon you and give you peace & help; the Lord make his face to shine upon you, and be gracious unto you. We hope blessings are passed on to you and we thank you for your support and generosity during this difficult time. Sarah received her kidney in February 2016, ending dialysis that had kept her alive for over five years! We are so thankful for for the family whose donation of a young man’s organs which he no longer needed is now keeping several others alive. All of the donors to this fund, and all of those who have prayed for Sarah are deeply appreciated. Sarah got a kidney on Feb 23, 2016, after a young man lost his life suddenly after a head injury, and his generous family chose to let him live on through others. Her numbers have been good at each appointment, so it seems that his kidney was just right for her body! The kidney was already functioning when she came out of surgery. Just a couple of days after the transplant, her memory was better, and she felt less tired than she had felt in years! She was able to join the workforce by fall of 2016, so her Social Security disability payments ended, and she now pays for her own Medicare, which will go stop three years after transplant, in February, 2019. We just requested distribution from her Help Hope Live fund to pay the $ 804 premium. She is no longer eligible for Medicaid or the supplement that she had while she was on dialysis. So far, she has not had to request help with her anti-rejection (and many other) medications, that can run well over $2000 a month, because Medicare covers a portion of that, enough to justify the premium cost. She has migraines, stomach issues, and neuropathy that are residual of the treatments she has had, so she has extra meds that were not anticipated. However, compared to dialysis, she is happy to accept side effects! She will continue to need supplemental insurance, even if she has work provided insurance, because many post transplant treatments are not fully funded. She really appreciates the funds that are on hand to help cover the shortages. My wonderful, amazing Mamaw, Lucille Motsenbocker, passed away February 5, 2015. Her family (my father, his sister and brothers) have graciously agreed to request that any memorial donations be made to my transplant fund. While absolutely nothing can make up for the loss of my beautiful Mamaw I was blessed with, I am truly grateful for all that I am being given. When Sarah went to the bordering state where she is also listed, they told her that since her secondary insurance was changed to medicaid by the Affordable Care Act, it will not pick up the rest of her costs so she will need to raise another $40K to get a transplant in Oklahoma. While Sarah still waits, the local FCCLA chapter is involved in organ donor recruitment! Live donors tested so far have been ruled out. Sarah’s surgeon has required that she lose 20 pounds to get on the transplant list, while her committee has recommended evenmore loss for an optimal outcome. Trey Morgan is arranging a challenge for donors to pledge a dollar amount for each pound lost. F3 in Childress has donated a gym membership, and volunteers are being recruited to exercise with Sarah. The plan is to get Sarah fit enough to participate in a 5K run fundraiser in the fall. 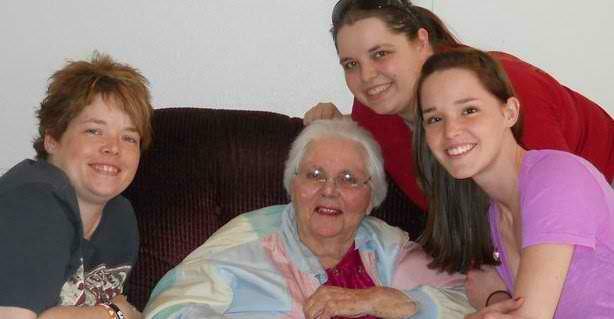 Sarah’s grandmother, Trudie Peters died on July 19. 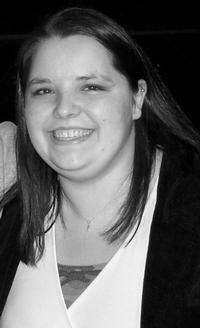 Donations in her memory were made to Sarah’s fund totaling over two thousand dollars. Thanks to all who showed their love for Trudie! Praying for you Sarah and your family. I am glad to help pass on the way to donate. This friend of your Uncle Freddy holds you in her heart this morning. Sarah, be strong in the Lord! You can do all thing with Him that strengthens you! You are in my thoughts and prayers Sarah. You are an awesome woman and you are going to beat this thing and go on to live a wonderful life. God has a plan for you!!! You know I love yah! =) you might want to tell them to get the spelling on your last name Correct...couldn't find you thru the correct spelling. Grrr...! 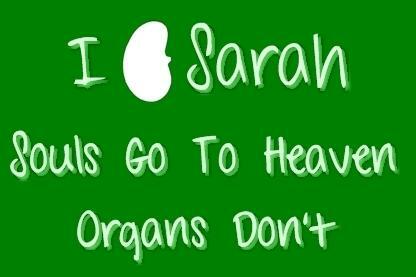 sarah, I know how it is to have a kidney problem, though I have managed t to fight it for 15 years. I am very glad that you may soon have a wonderful new life with a transplant.What a happy day that will be for you, and all the rest of us Coveys ! Hope your wait is short. Prayers for you and your family for successful surgery.